Feel like you’re going to the same restaurants time after time? Give your favourites a break this month and check out some of the fantastic UK restaurants that have joined OpenTable recently. 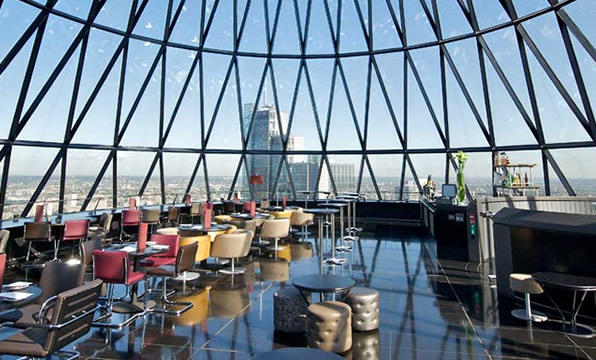 Searcy’s at The Gherkin – To celebrate its tenth year at The Gherkin, Searcy’s are opening the restaurant to the public for the very first time. For a short time only, you have the chance to dine in one of London’s most iconic buildings and enjoy stunning 360°views of the City. Don’t miss out! Aqua Shard – From sunrise to sunset, diners can enjoy modern British dishes and breath-taking views at Aqua Shard. Why not visit for a decadent weekend brunch or Champagne afternoon tea? Arabica Bar & Kitchen – After 14 years of trading at Borough Market, the Arabica team have swapped their stall for a full-on bar and restaurant serving Levantine inspired dishes. Pop in for some of their delicious lamb-topped hummus, oven-baked flatbreads and charcoal-grilled quail. Hawksmoor Knightsbridge – This glam subterranean steakhouse is the latest addition to the Hawksmoor family. Don’t fancy steak? Try new seafood dishes like the lobster roll with sriracha mayo. T.E.D Restaurant – At T.E.D (Think Eat Drink), the menu showcases ethically sourced British produce in dishes like Dorset crab on sourdough, roast leg of lamb, and Cornish pollock with peas, bacon and lettuce. The interior is eco-friendly too – think salvaged furniture, fabrics and ‘pre-loved’ tiles. Silk & Grain – Join the City slickers at this restaurant near Bank for Josper grilled steaks, British charcuterie, and aged and conditioned cocktails. The barrel aged Negroni sounds like a winner! Also new in London: Q Grill, Assunta Madre, OPSO, Rivea and Lima Floral. Sohe – This Asian fusion restaurant just outside Newcastle’s city centre has already impressed the locals and won several OpenTable Diners’ Choice awards. 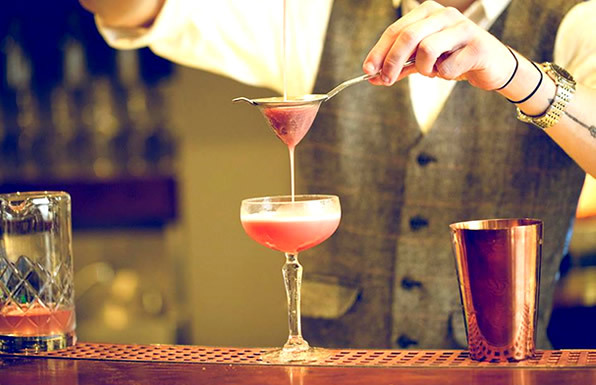 Try one of their exotic cocktails and dishes like miso-glazed cod, beef rendang and som tam salad. Wildest Drams – If you like to know where your food has come from, you’ll love the locally sourced game, craft beers and malt whiskies at this independent restaurant in Edinburgh. Fallon & Byrne Restaurant – Spread over four floors of a stunning heritage building, Fallon & Byrne is a must-visit for foodies in Dublin. Head through the food hall to the airy upstairs restaurant for modern Irish bistro-style dishes and excellent seasonal cocktails. Teppan 260 – Dinner is a DIY affair at this restaurant in Leeds. Use the iPad to order your ingredients and when they arrive you can sizzle, stir and season them to your liking on the hot iron plates. The Ship Inn – If you’re visiting Camber Sands this summer, schedule a stop at this charming pub (with rooms) in Rye. They serve top notch pub grub and your kids and dogs are welcome too. Still hungry? Search for restaurants in your area on OpenTable or ask our experts on twitter.